Chris Hughes and Kem Cetinay were two of Love Island’s most prominent characters. The stars of the hit reality TV show became known for going wild at every opportunity and for never being far away from one another. Since leaving the house they have kept up their friendship and even turned into a musical twosome. Their first single ‘Little Bit Leave It’ hit number 15 in the charts after only three days of sales, and soon after followed a video that continues to clock up huge numbers of hits. The single was the highest new entry of the week and highest week 1 chart position for any debut act in 2017. It saw them once again partying hard in a boozy house with favourites Fatman Scoop, Avelino, Yungen, Drake-collaborator Kyla and model Diana Sirokai all making an appearance. It features some raunchy scenes, girls kissing and even Chris’s ‘son’ Cash Hughes. The pair’s girlfriends Olivia Attwood and Amber Davies don’t make the video themselves but appear as pictures in one of the scenes. 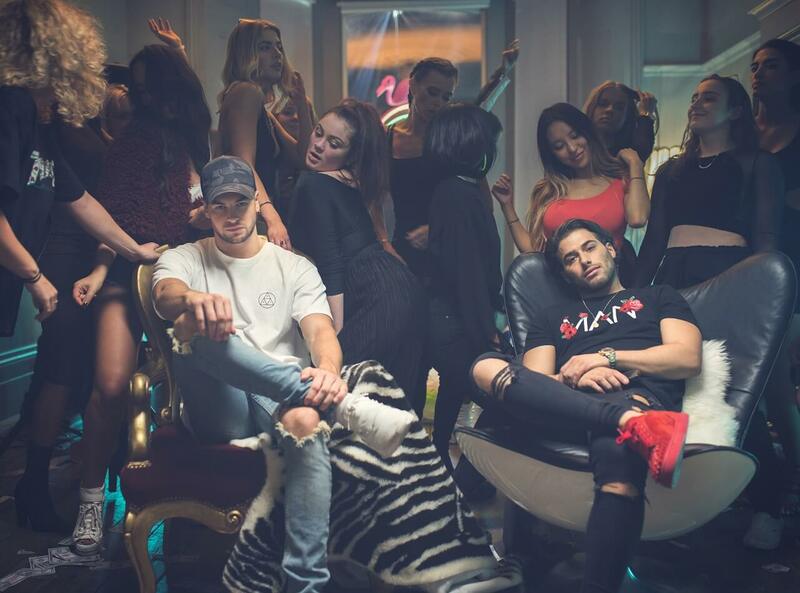 The best mates recorded the video in North London and have signed a huge record deal with Sony/Relentless Records after being hugely popular in spin off show Straight Outta Love Island. They have been promised a second series given the high viewing figures, so may well get back to the studio to record more hit singles. As such, for any event, function, private party or public appearance, there are few hotter celebrities and musical acts than Chris and Kem right now.